NATICK, Mass. (April 15, 2016) -- For Soldiers in remote locations, home is where the MILHUT is. The small shelter system provides a home-like environment while also reducing energy and water usage, as well as waste. 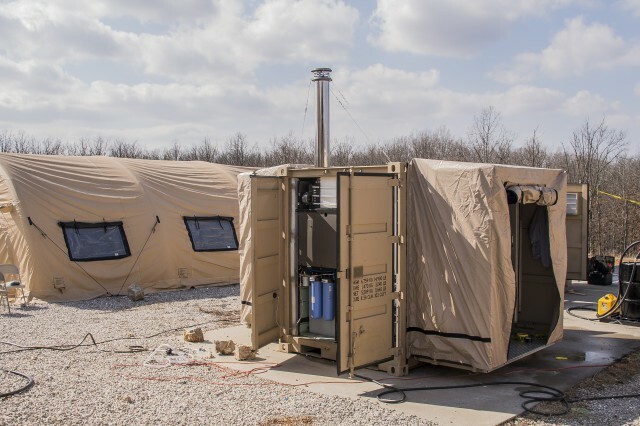 The Minimized Logistics Habitat Unit, or MILHUT, is a containerized shelter that relies on renewable energy technologies, which enable warfighters to be deployed longer in remote areas without the need for resupply. The MILHUT system provides habitat, hygiene and meal preparation capabilities that are not usually available with deployments to remote, austere areas. The MILHUT is well-suited for austere environments because it is easily transported and can be set up quickly. It is primarily self-sufficient and relies on renewable energy technologies, such as solar power and water recycling. The Army Natick Soldier Research, Development and Engineering Center's MILHUT is part of a larger Army effort called the Sustainability Logistics Basing, Science and Technology Objective -- Demonstration, or SLB-STO-D. The goal of SLB-STO-D is to reduce fuel, water and waste in expeditionary base camps. The Army Research, Development and Engineering Command leads SLB-STO-D. It is managed by NSRDEC and co-managed by the Engineering Research and Development Center, or ERDC, Construction Engineering Research Laboratory, or CERL. Gregg Gildea is the NSRDEC lead for SLB-STO-D. The MILHUT also reflects another goal of SLB-STO-D. The initiative not only aims to reduce energy use and waste, it also aims to improve or maintain quality of life. Preserving quality of life is an important factor in preserving Soldier readiness and morale. Soldier input is key to ensuring quality of life is maintained. NSRDEC researchers are obtaining Soldier feedback on the MILHUT regarding quality-of-life items, such as showers and stovetops. 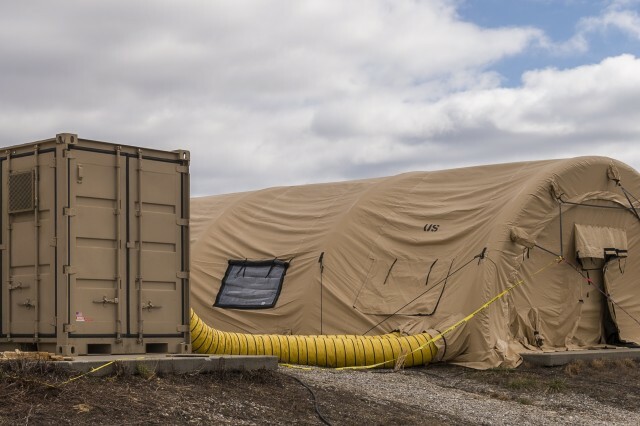 Soldiers may live in the MILHUTS in remote areas, but NSRDEC researchers also want to find out if the new technologies and energy-saving capabilities work and interwork not only at this level, but perhaps also can be applied to a larger living environment in the future. NSRDEC demonstrated MILHUT technologies at Fort Leonard Wood, Missouri, and allowed Soldiers to use the system in order to garner their input and insights. "The things I liked most about it are the home functions that it makes available in an austere environment," said Staff Sgt. James Aron Goolsby. "It provides Soldiers a shower and a chance for extra hygiene while creating an area for them to feel comfortable in while away from home." "I do like the fact that it brings more of the comforts of the home environment inside a field environment," said Spc. Dylan Smith. "For example, the shower, having hot water, being able to cook simple things, and the tent having temperature control so you don't have to spend the entire time either freezing or being extremely hot." Both Goolsby and Smith also thought that perhaps some items, including the microwave and clothes washer, were unnecessary. "Things that an operational Soldier would prefer to see would maybe include a larger refrigerator or perhaps a larger shower," Goolsby said. 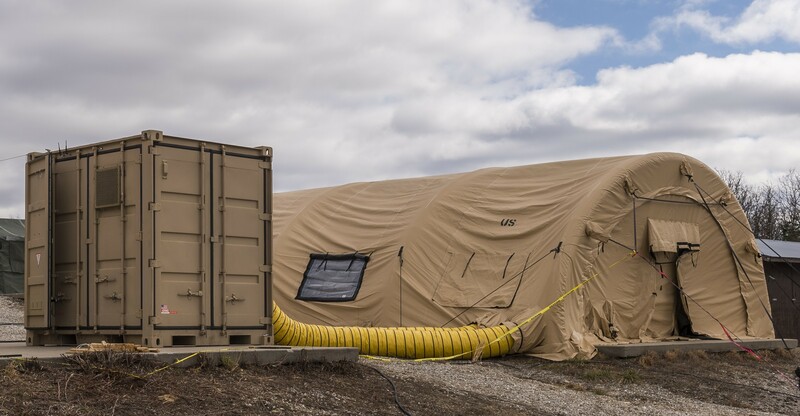 "The MILHUT is an innovative assortment of self-sufficient support and habitation equipment integrated into standard military shipping containers," said Chris Aall, the MILHUT project officer and a mechanical engineer at NSRDEC. "Its expedient quality allows for rapid deployment in austere environments, with the intent of reducing the troop-to-task ratio, and extending remote military operations with limited fuel and water resupply. 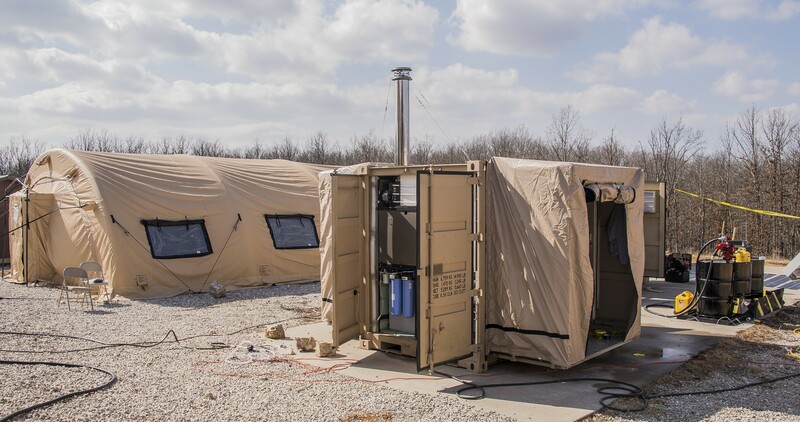 "The system exhibits solar energy capture, an on-board generator, a high-speed, low-flow laundry system, a waste remediating latrine, a shower with water reuse capability, and an efficient "kitchenette" in a compact form factor, supporting up to 20 warfighters. These inherent benefits aim to positively contribute to the SLB-STO-D objectives in making the U.S. Army more agile and efficient." "Reducing base camp resupply operations saves lives," said Paul Carpenter, deputy, NSRDEC SLB-STO-D. "Understanding the relationships between fuel, water and waste is critical to reduce this demand for resupply. The SLB-STO-D analyzes these relationships through a Model Based Systems Engineering methodology. Technologies like the MILHUT also help the STO-STO-D better understand the art of the possible and how they can be extended to larger systems."